Who started the Kristallnacht pogrom? The evidence shows that Herschel Grynszpan, distraught about the fate of his family, acted alone. The attorney who represented Grynszpan, from the International League against Anti-Semitism (LICA), was requested by his family and his fees were paid by contributions from Jews in the United States. However, there is no evidence of any association between Grynszpan and the LICA before the assassination. Similarly, there is no evidence that the pogrom was begun by “mysterious provacateurs” who were sent by “World Jewry” to stir up trouble and embarrass the Germans. The evidence shows that German Jews and Austrian Jews were the victims of Kristallnacht, not the perpetrators of the pogrom. Herschel was born in Germany, but his parents were Polish Jews. His parents had not been able to obtain German citizenship, which was a privilege based on blood, not residency or any other qualification. In 1936, when he was 15, Herschel’s parents sent him to Paris to live with his aunt and uncle. Herschel was supposed to help his uncle in his tailoring business and go to school. His parents sent money for his care and upkeep while he lived there. However, instead of studying or working he spent most of his time hanging out with his friends and going to movies and cafés. His neglect of work and study led to quarrels with his aunt and uncle. At the end of October 1938, Herschel learned from Yiddish newspapers that the Germans had rounded up the Polish Jews from his former hometown and dumped them into a ‘no-man’s land’ just over the Polish border. On November 3, he received a letter from his sister confirming the situation. On November 6—one day before he shot vom Rath—Herschel had a final fight with his aunt and uncle over his behavior. Herschel took about 600 francs and left their home. That night, Herschel checked into a cheap hotel (23 francs, 50 centimes). By way of comparison, a new overcoat cost 600 francs. The next morning he bought a gun for 250 francs. Herschel then went to the German embassy with the intention of shooting the Nazi German ambassador to France. Herschel was admitted to the embassy where he shot vom Rath, who he had never seen or met before, instead of the ambassador, who was not at the embassy during that time. Weckert insinuates that the International League Against Anti-Semitism (LICA), a French Jewish defense organization, funded Herschel’s assassination of vom Rath. However, both the French police and the German Gestapo found no link between Herschel and LICA. There is no evidence that Herschel even knew the LICA existed, much less was seduced to act on their behalf. The LICA did provide Herschel with a lawyer, but it was his relatives who approached the organization for help. The lawyer’s services weren’t free. Dorothy Thompson, a non-Jewish journalist in the United States, raised the money for Herschel’s defense. Weckert also questions how Herschel found the money to buy a gun without external support. But, as stated above, Herschel had about 600 francs when he left his aunt and uncle’s home and the gun only cost 250 francs. What happened to Herschel Grynszpan after the shooting? Weckert claims that Herschel “disappeared mysteriously from the scene.” She alleges that the very “powerful” LICA pressured the Germans into letting Herschel live “securely through the war years” after which he was given “a fresh start.” In fact, Herschel remained in a French prison until the Germans invaded and occupied France in May 1940. After the Nazi invasion, the French handed him over to the Germans. Herschel then disappeared into the Nazi prison and concentration camp system. It is possible he survived the war and chose not to resurface, but there has been no trace of him since 1942. He was officially declared dead on July 24, 1960. Weckert claims that, after vom Rath’s death, mysterious “provocateurs” appeared “abruptly out of nowhere” in German cities and towns. She suggests that these “provocateurs” demanded that the local police, mayors, and Nazi party officials take action against the Jews in their community. 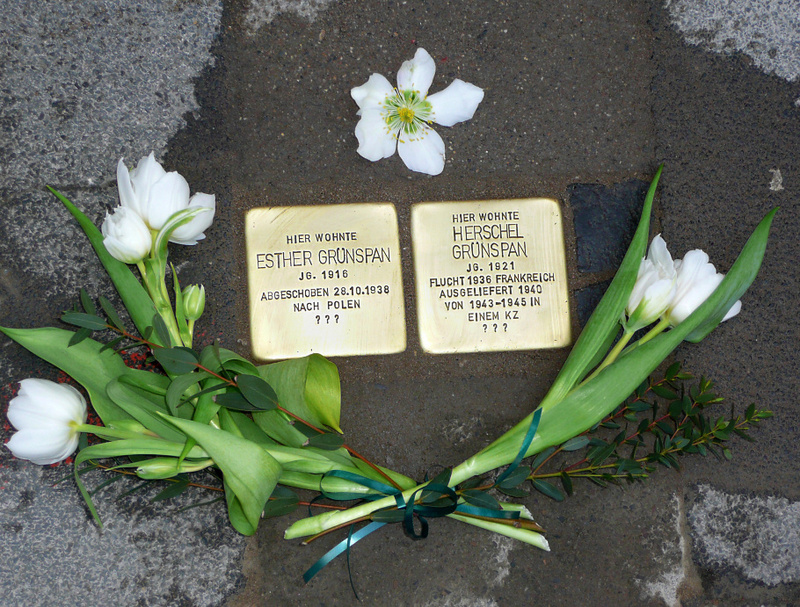 According to Weckert, when the German officials refused, these strangers “sent the first stones crashing through Jewish shop windows, into Jewish homes, and began attacking synagogues.” Thus, they prodded the unmotivated German civilians into violence, seducing them into a “hypnotic compulsion” that drove them to “work things out of their systems” and exciting them into a “primitive lust for turmoil.” Then, the mysterious “strangers” disappeared. The evidence shows that Herschel Grynszpan acted alone when he shot vom Rath. There is no evidence of any association between Grynszpan and the LICA before the assassination. The LICA attorney was asked to represent him by his family and his fees were paid by contributions from American Jews (among other contributors). 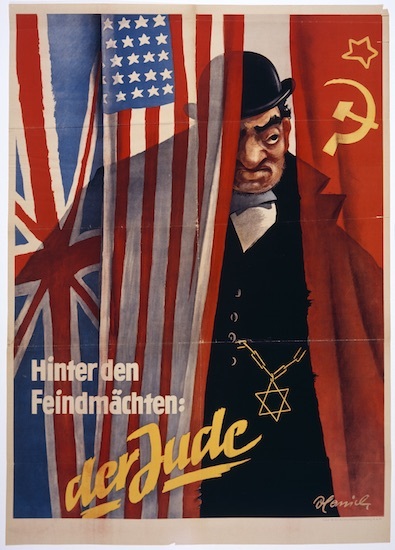 There is no evidence that “mysterious provocateurs” sent by “World Jewry” stirred up trouble in order to embarrass the Nazis. The German Jews and Austrian Jews were the victims of Kristallnacht, not the perpetrators of the pogrom. Ingrid Weckert, “’Crystal Night’ 1938: The great Anti-German spectacle,” Journal for Historical Review, Summer, 1986, p. 15 of 17 (“Conclusion”) at www.ihr.org/jhr/v06/v06p183_Weckert.html. The name of her article on Kristallnacht is called “’Crystal Night’ 1938: The Great Anti-German Spectacle.” The emphasis is the title is mine. David Irving, Goebbels: Mastermind of the Third Reich (Focal Point, 1996), p. 490. You can download this entire book in PDF at http://www.fpp.co.uk/books/Goebbels/. David Irving, Hitler’s War (Focal Point, 2001), p. 142 (see * at bottom of page). You can download this entire book in PDF at http://www.fpp.co.uk/books/Hitler/text/index.html. For more information about Herschel Grynszpan’s life see Gerald Schwab, The Day the Holocaust Began: The Odyssey of Herschel Grynszpan (Praeger, 1990). Ingrid Weckert, Flash Point: Kristallnacht 1938: Instigators, Victims and Beneficiaries (Institute for Historical Review, 1991), pp. 18, 19. Weckert’s book in German is Feuerzeichen: Die ‘Reichscristal nacht’: Anstifter und Brandstifterpfer und Nutziesser (Tubingen: 1981). Richard J. Evans, David Irving, Hitler and Holocaust Denial, Section (4)(4.3)(c)(iv)(2) at www.hdot.org. Ingrid Weckert, Flash Point: Kristallnacht 1938: Instigators, Victims and Beneficiaries (Institute for Historical Review, 1991), p. 18. Ingrid Weckert, Flash Point: Kristallnacht 1938: Instigators, Victims and Beneficiaries (Institute for Historical Review, 1991), p. 132. Gerald Schwab, The Day the Holocaust Began: The Odyssey of Herschel Grynszpan (Praeger, 1990), pp. 197-201. Ingrid Weckert, Flash Point: Kristallnacht 1938: Instigators, Victims and Beneficiaries (Institute for Historical Review, 1991), pp. 40-41. Ingrid Weckert, Flash Point: Kristallnacht 1938: Instigators, Victims and Beneficiaries (Institute for Historical Review, 1991), pp. 41, 63. Richard J. Evans, David Irving, Hitler and Holocaust Denial, Section (4)(4.3)(c)(ii)(E)(4). David Irving, Goebbels: Mastermind of the Third Reich (Focal Point, 1996), p. 495 and Ingrid Weckert, Flash Point: Kristallnacht 1938: Instigators, Victims and Beneficiaries (Institute for Historical Review, 1991), pp. 89-93. Richard J. Evans, David Irving, Hitler and Holocaust Denial, Section (4)(4.3)(c)(ii)(C)(6).